In this paper we disambiguate the design stance as proposed by Daniel C. Dennett, focusing on its application to technical artefacts. Analysing Dennett’s work and developing his approach towards interpreting entities, we show that there are two ways of spelling out the design stance, one that presuppose also adopting Dennett’s intentional stance for describing a designing agent, and a second that does not. 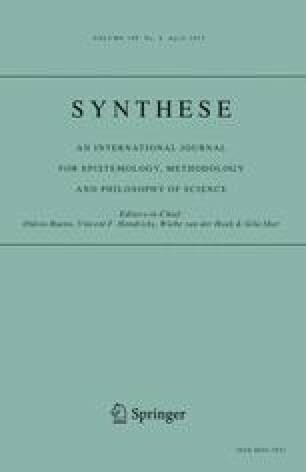 We argue against taking one of these ways as giving the correct formulation of the design stance in Dennett’s approach, but propose to replace Dennett’s original design stance by two design stances: an intentional designer stance that incorporates the intentional stance, and a teleological design stance that does not. Our arguments focus on descriptions of technical artefacts: drawing on research in engineering, cognitive psychology and archaeology we show that both design stances are used for describing technical artefacts. A first consequence of this disambiguation is that a design stance, in terms of interpretative assumptions and in terms of the pragmatic considerations for adopting it, stops to be a stance that comes hierarchically between the physical stance and the intentional stance. A second consequence is that a new distinction can be made between types of entities in Dennett’s approach. We call entities to which the intentional designer stance is applied tools and entities to which the teleological design stance is applied instruments, leading to a differentiated understanding of, in particular, technical artefacts. We are grateful for helpful comments by Nathan Crilly, Krist Vaesen and two reviewers on earlier drafts of this paper. This work has been developed in part within the Marie Curie EuJoint project (IRSES 247503). Research by Pieter Vermaas was supported by the Netherlands Organisation for Scientific Research (NWO).